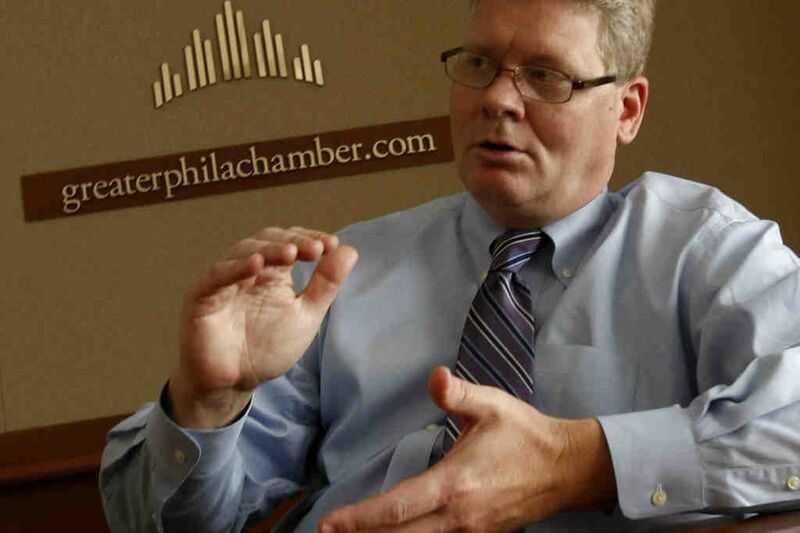 Rob Wonderling was a state senator before taking the helm of the Greater Philadelphia Chamber of Commerce. Robert C. Wonderling, president and CEO of the Chamber of Commerce for Greater Philadelphia, will become the new chair of Ursinus College's board of trustees. He takes over for Nina Stryker, who had been serving as interim chair since September, when the then-board chair, Michael C. Marcon, resigned over controversial tweets made on his private account during the previous few years. "I'm passionate and extremely optimistic about the future of Ursinus College, and I am honored to be appointed chair of its board," Wonderling said in a statement. "As president of the Chamber of Commerce for Greater Philadelphia, I understand how transformative a liberal arts education can be in building a creative, entrepreneurial workforce. Ursinus has a proud history of doing just that." Wonderling, a former state senator, has served on the board of the 1,600-student liberal arts school in Collegeville since 2014, and is the parent of a 2016 Ursinus graduate. A Montgomery County resident, he received his bachelor's degree from Allegheny College and his master's degree from the University of Pennsylvania. This year, he received the Anti-Defamation League Americanism Award for his work at the chamber on diversity, inclusion and tolerance, the college noted in a news release. Marcon, chief executive officer of Equity Risk Partners, based in San Francisco, came under fire after a series of tweets that were "considered by many on campus to be insensitive and disconcerting," the college acknowledged in a news release in September. "Gotta love a janitor with a 'Ban Fracking Now' sticker on his bucket. Barack is clearly reaching his target demographic," said one of the tweets. "Yoga pants? Per my DTW visual survey, only 10 percent of users should be wearing them. The rest need to be in sweats — or actually get dressed," said another. An Ursinus student posted the tweets on his Facebook page, and another student wrote about them on Odyssey, a social-content platform.